Raster Bead Technology is quickly gaining the support from architects across the country. Why? Faster delivery times than previously available. 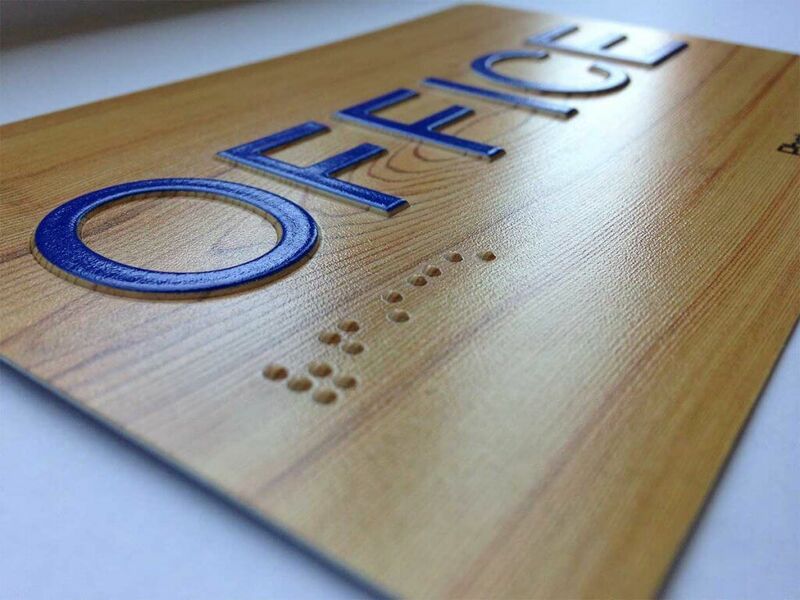 Domed braille (now required for ADA compliant signs). amd the ability to produce almost any design for a project requirment.